That's great for a first attempt! I used to use the french polish look all the time but lately my nails aren't growing so much, grr. Wow, well done! 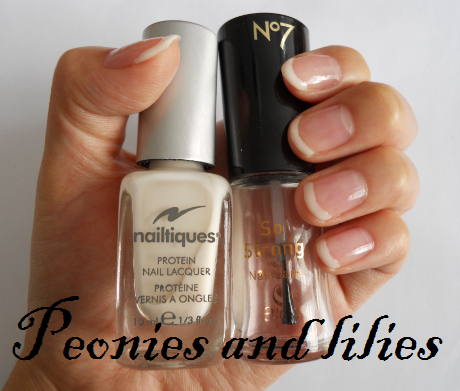 I would NEVER have thought to use the nailtiques colour as a french tips. It looks awesome! Well done! nailtiques formulas work miracles on weak nails too! FYI, did you know ORLY created the Original French Manicure? The ORLY french mani range is really impressive with so many tones/finishes to choose from.